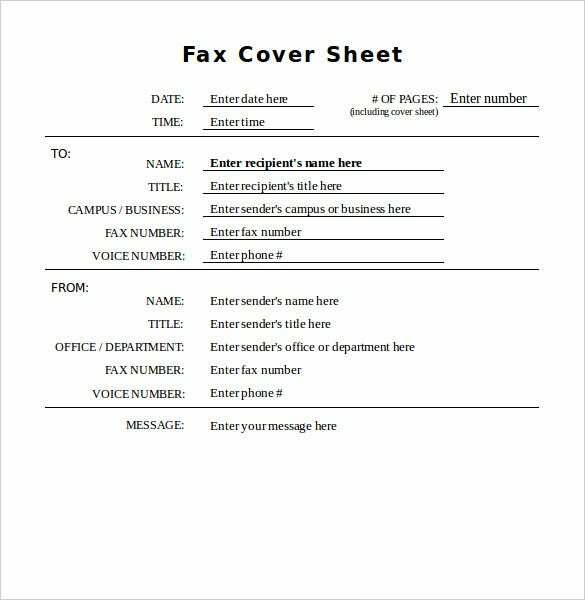 6+ Generic Fax Cover Sheet Templates – Free Sample, Example Format Download! Faxing is an important means of communication and there is no denying this. Whether you are a small, medium or large scale business owner, the importance of a fax machine in your life can’t be overemphasized. And in case, you have one already installed at your office, then you won’t take long agreeing with the fact that they sometimes just refuse to stop. There is an outpour of faxes and you end up sorting them out the wrong way. Such mess is common when faxes don’t arrive teamed with good cover sheets. If you are not an expert at creating effective cover sheets, you can take help of Generic Fax Cover Sheet Templates. 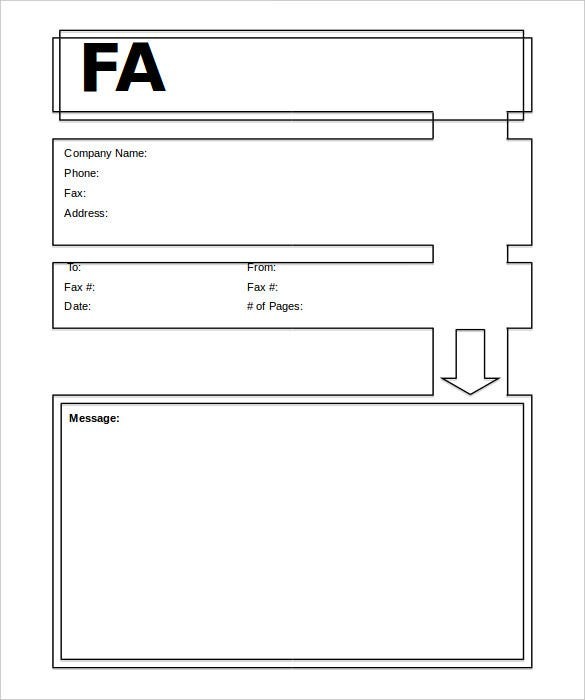 A generic fax cover sheet contains information such as the sender, the recipient and number of pages. This information is useful when sorting the faxes. 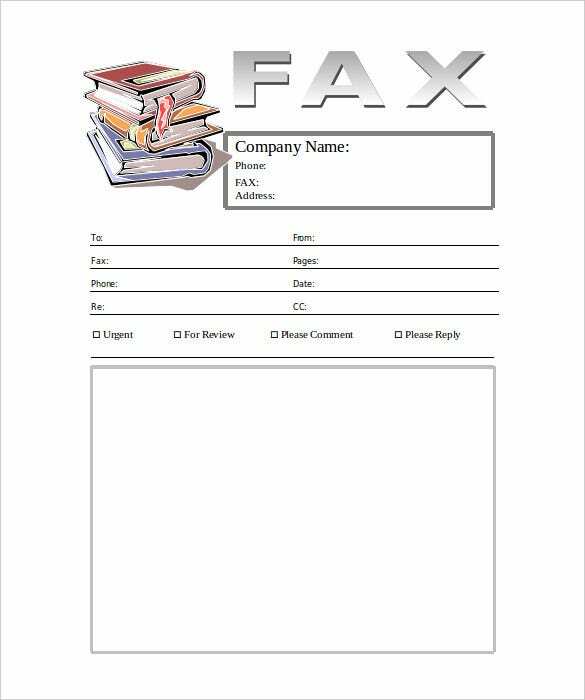 To create a generic fax cover sheet, download a template from the internet and edit it accordingly. 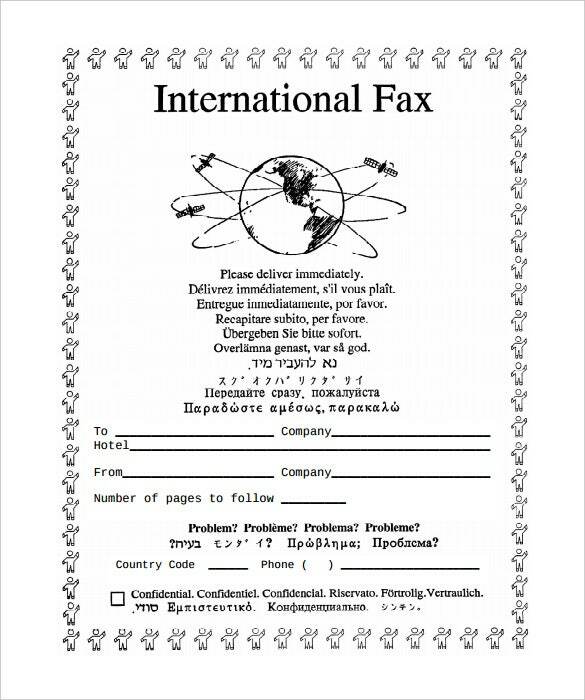 faxcoversheets.org | These templates are for international use. The sheet has content written in multiple languages and hence, caters to an international audience. 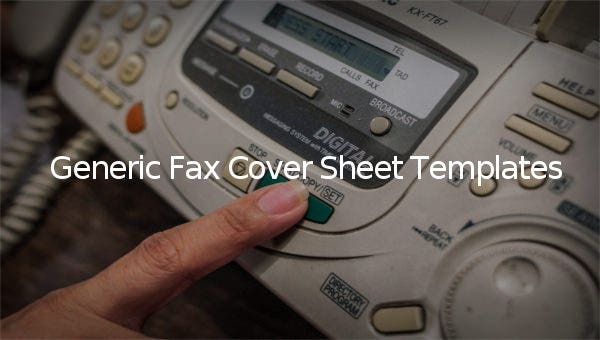 Opt for Generic International Fax Cover Sheet Templates if you don’t want the hassle of creating separate fax cover sheets for different countries. These templates are used in the health sector and often contain information regarding patients. The best thing about these templates is that they are not content heavy, which imparts them their neat look. 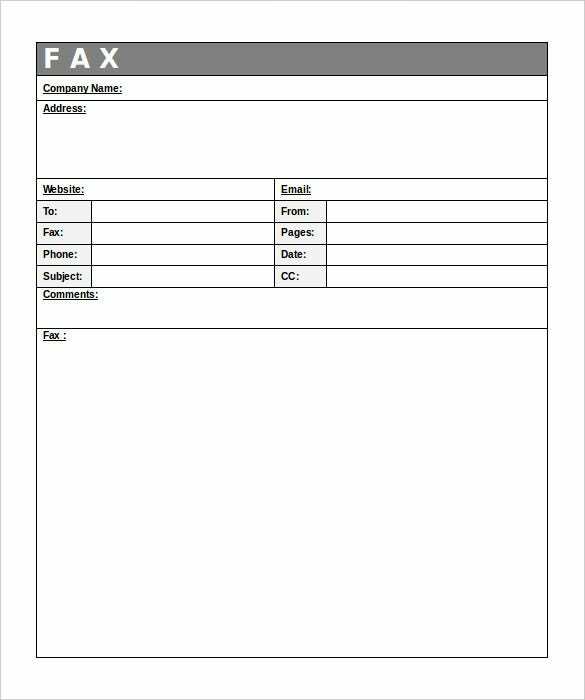 If you are looking for an effective fax cover sheet to be used along with your health related facsimiles, Health Generic Fax Cover Sheet Template is the option for you. freefaxcoversheets.net | The USP of these templates is the picture of scales of justice at the top of the page. So, visibly these Scales of Justice Generic Fax Cover Sheet templates are ideal for facsimiles linked to law and justice. freefaxcoversheets.net | If you own a company that deals in books and stationery items, then this is the template you must use. The first thing that attracts about this template is the manner in which the content is organized- neat and systematic. 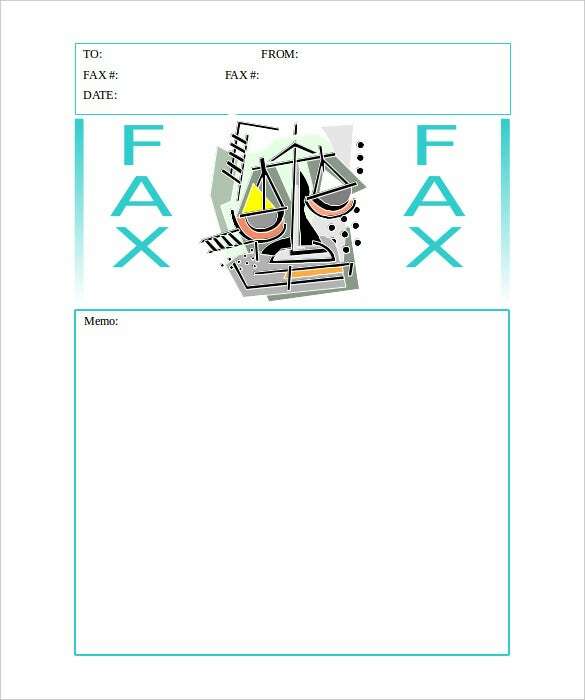 The second aspect is the clip art of books that shows up in the top left part of the Stack of Books Generic Fax Cover Sheet Template. It’s great because it reflects the theme of your business. A cover sheet is not an accessorial part of facsimiles. After all, it reflects the subject matter of the fax. But a good cover sheet doesn’t just get created by chance. You must put efforts into creating one. The first thing that you can do is keep it short and crisp. The second aspect is aesthetics. Just like everything else in the world, a great looking cover sheet attracts attention. A well-organized cover sheet with one or two graphics does the trick. Also, your cover sheet must be reflective of what’s present in the fax. If all this looks complex to you, you can go for templates. These templates are available for download online. So, you can get as many as you like for a little or no price. Print them out and use them; they are print-ready templates in some of the most compatible formats.